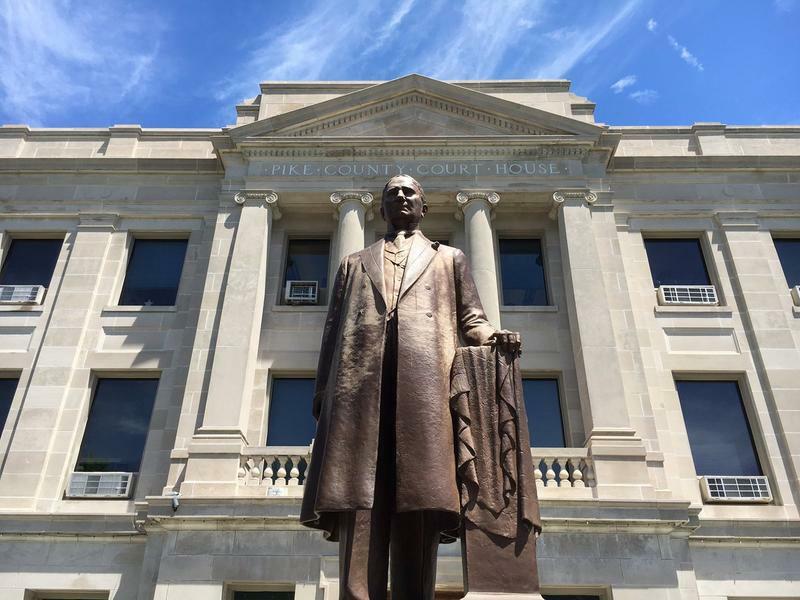 A statue of former U.S. House Speaker Champ Clark stands before the Pike County Courthouse. Democrats like Clark controlled most of northeast Missouri's offices for decades. Now, the GOP rules the roost. It’s been a political shift that may make it harder for Democratic candidates to win competitive races for the U.S. Senate or statewide offices in the 2018 midterm elections— and beyond. 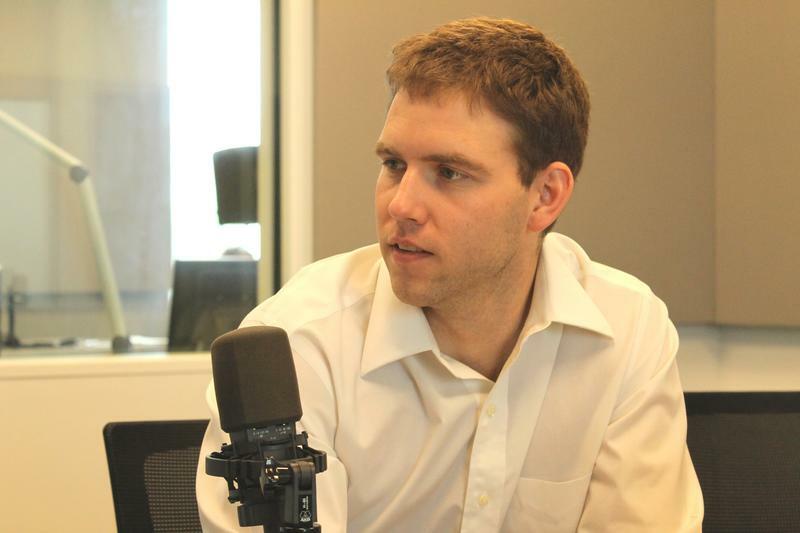 St. Louis Public Radio's Jason Rosenbaum explores northeast Missouri's political shift. 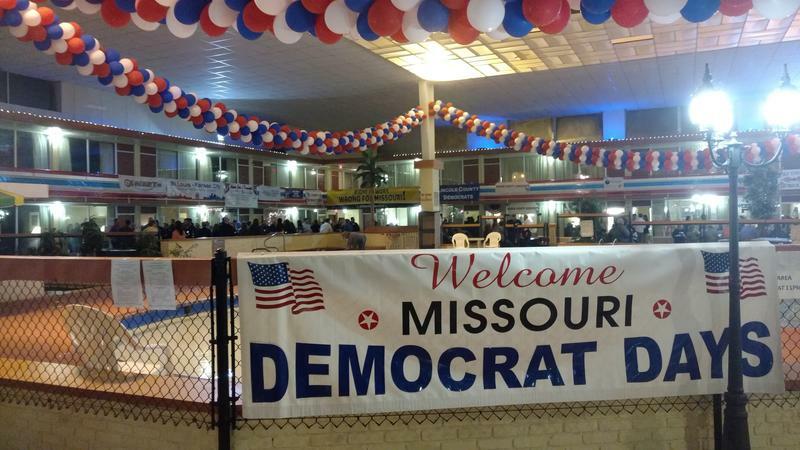 But even with the Missouri Democratic Party pledging to make a concerted effort to gain back ground in rural Missouri, the changes in the area showcase the challenge ahead, especially because Democrats have had a lot of trouble fielding candidates against well-funded GOP incumbents. 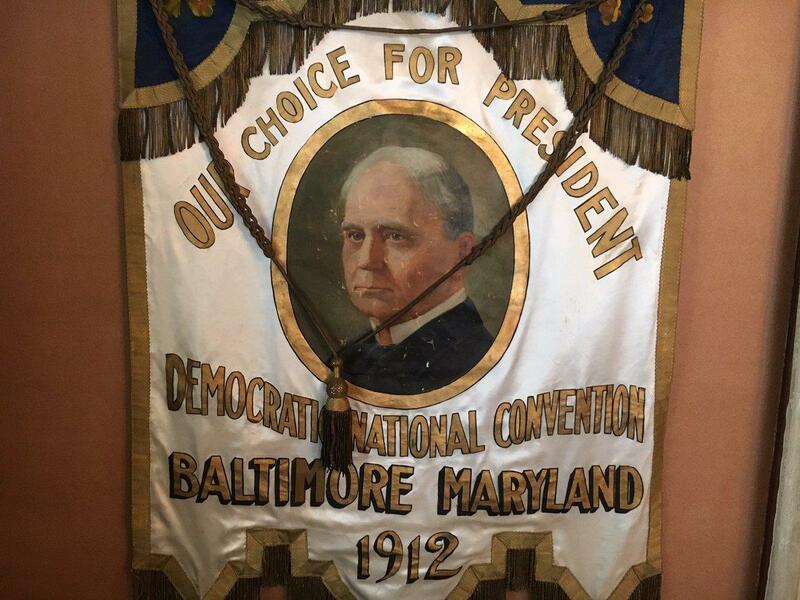 Bowling Green native Champ Clark nearly became the Democratic nominee for president in 1912, only to fall short to Woodrow Wilson. Many believe if he had snagged the nomination, he would have become president that year. Stretching from the northern edge of the St. Louis metropolitan area to the Iowa border, the largely agricultural region doesn’t have a town with more than 20,000 people in it. But it’s had an outsized role in politics, as voters sent scores of Democrats to the General Assembly, many who got their start as county and city officials in northeast Missouri. As a result, northeast Missouri produced some of the state’s most powerful Democratic politicians, including Gov. Lloyd Stark, U.S. Rep. Clarence Cannon, and, of course, U.S. House Speaker Champ Clark. Clark, a Bowling Green native, nearly became president in 1912 but lost to Woodrow Wilson. Chad Perkins is a deputy with the Pike County Sheriff’s Department, and a Republican committeeman. But it wasn’t always that way. Due to the shift, Republicans now hold every single state House and Senate district in the area — a decade ago, Democrats had a majority. They’re also gaining ground on county commissions and countywide offices such as coroner and sheriff. Trump plays a role in this situation: He received anywhere from 70 percent to 80 percent of the vote in most northeast Missouri counties. 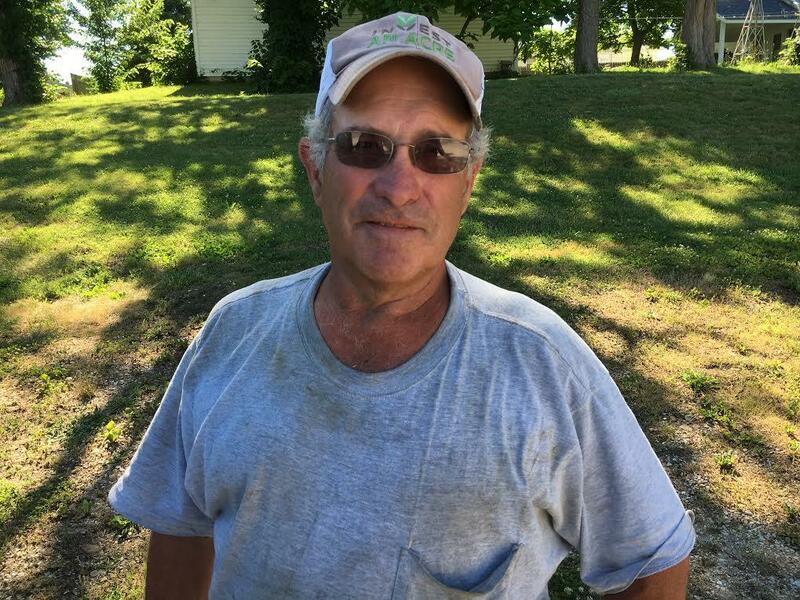 Marion County farmer Ralph Griesbaum says Democrats in northeast Missouri have suffered from a perception that the national Democratic Party is too liberal. A Republican congressman: As a U.S. representative starting in 1996, Kenny Hulshof was able to help direct money and volunteers to help GOP candidates win state legislative seats. These efforts weren’t always successful, but it helped develop an infrastructure for Republican candidates that didn’t exist several decades ago. Well-regarded, well-funded candidates: Many Republican state politicians gained recognition in their communities as farmers or businessmen. 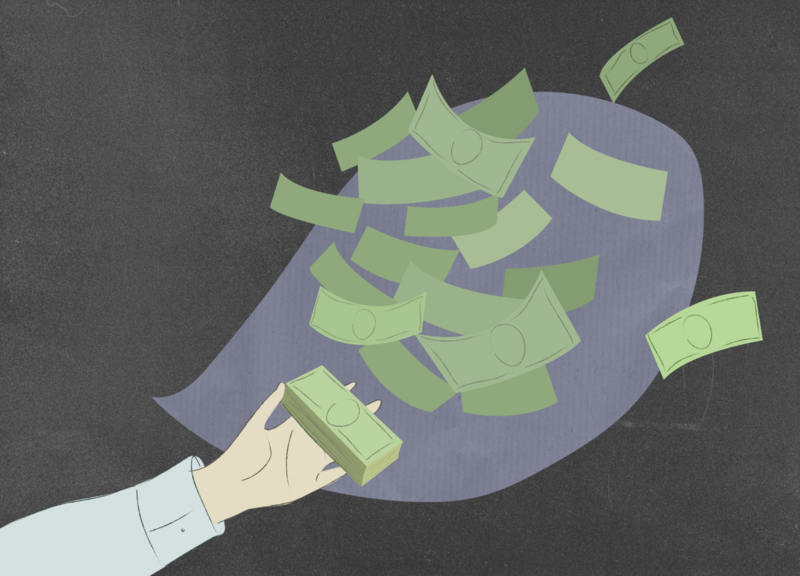 They also had lots of money, because political donors tend to direct their dollars to the party that controls the Missouri General Assembly, which the Republicans have done since 2003. A generational shift: Some political observers believe younger northeast Missouri residents tend to identify with Republicans. And the region’s older residents with longstanding Democratic ties are dying. But there are two other factors, seen throughout the Midwest: social issues and the region’s economic decline. Ralph Griesbaum farms row crops in Marion County, and generally supports Republicans. He said many voters here are punishing local Democratic candidates who may have more socially conservative views for the national party’s support of abortion rights and gun control. The region’s economic stagnation and the population decline is to blame, too, said Elioa resident Holly Maffitt. Pike County, for instance, has a median household income that’s roughly $10,000 lower than the national average. And 14 northeast Missouri counties saw a combined population increase of 474 people. 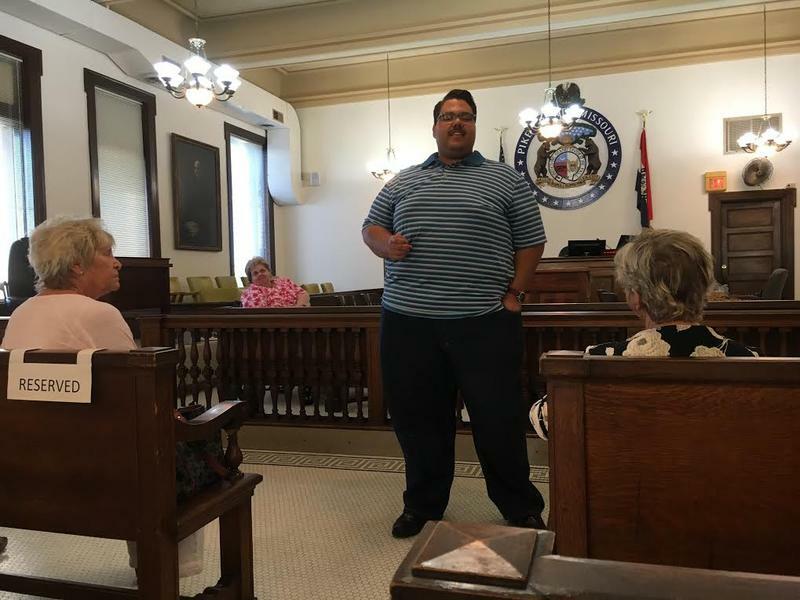 “I think there’s a sense of great discouragement,” said Maffitt, who is part of Show Me Indivisible, a group angling to recruit Democratic candidates in northeast Missouri. “You’ve driven through here. You see our beautiful old town with a lot of empty spaces and deterioration. And that’s been very marked. And you hear so much that rural America is declining. It’s visible. It is happening. There’s huge structural changes in our economy. But I think people have just kind of felt overwhelmed by it — and they don’t see any answers. “We don’t have the leadership to inspire,” she added. 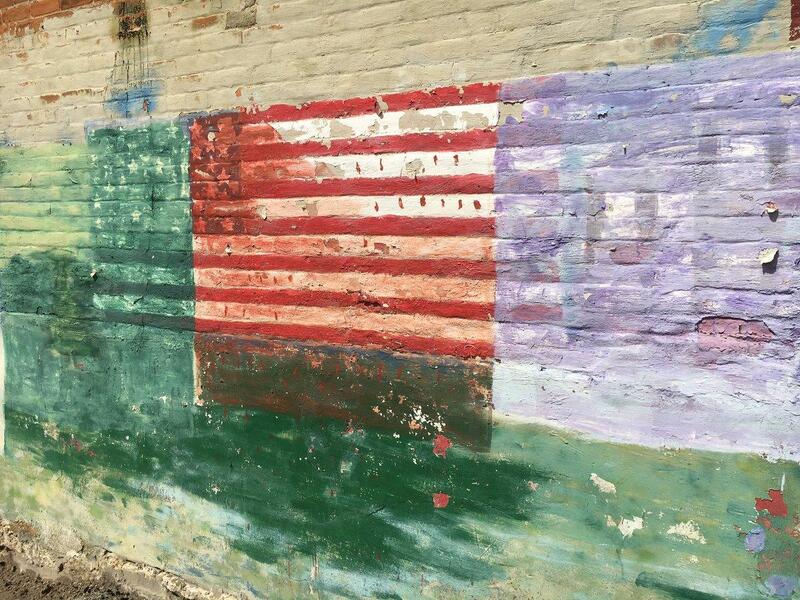 A mural adorns the wall of a building in Frankford, Missouri, which has a population of a little over 300 people. One of the priorities for Missouri Democratic Party Chairman Stephen Webber is regaining ground in rural parts of the state, especially in 2018, when Missouri’s last two Democratic statewide officeholders, U.S. Sen. Claire McCaskill and state Auditor Nicole Galloway, are up for re-election. McCaskill has only lost one statewide bid: Her 2004 race for governor against Republican Matt Blunt. That was precipitated by a poor showing in northeast Missouri counties (and other rural areas of the state). Two years later, McCaskill ended up improving her performance in rural counties in her successful challenge of U.S. Sen. Jim Talent. “McCaskill has shown an ability to connect with rural voters,” Webber said. “She does that by showing up, by having town halls. So we’re looking at sort of following her example and to build on that. So I think we’ll be successful in 2018, but it really is a long-term strategy. Webber wants Democrats to run in 140 state House districts and every state Senate district next year. But Lovell said the expense and stress of running for office scares a lot of people away in her part of the state. Perkins said his rivals still have the challenge of distancing themselves from the national party. Still, some Republicans here aren’t willing to call their rise permanent. 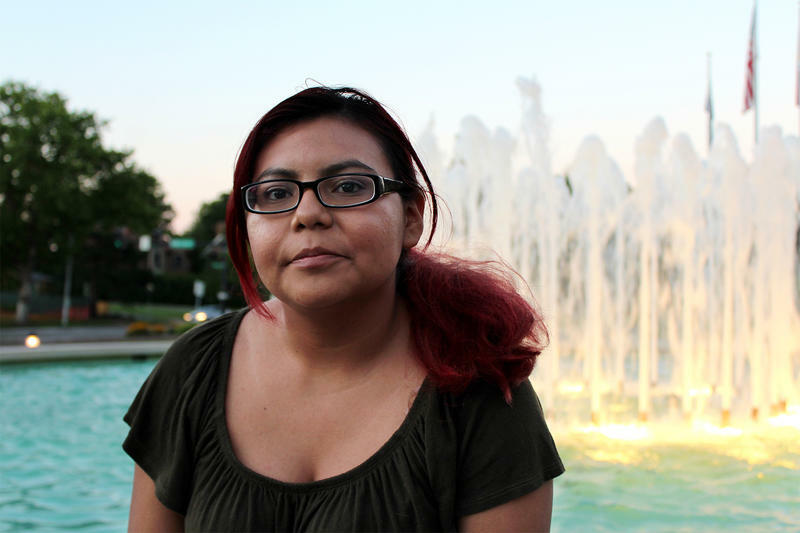 Young immigrants who were brought to the United States illegally as children, and received temporary Social Security numbers and work permits under an Obama-era program can keep their protections — for now. Breaking a promise made on the campaign trail, President Donald Trump announced last week that he would extend the Deferred Action for Childhood Arrivals program, but hasn’t said for how long. Missouri is home to almost 4,000 DACA permit holders.